According to the report, 65% policymakers in India felt that men and women had become more equal in the last five years, but a plurality (46%) also felt that gender issues received too little attention in state policy. New Delhi: With Saudi Arabia’s latest gender reform — allowing women to drive — the issue of gender equality is being debated again. In India, where the role of women and their parity with men has been debated often, the truth is that a decades old Women’s Reservation Bill hasn’t been passed yet. In fact the strength of female representatives in the lower house of Parliament stands at just 11% and representation of women in state assemblies is, in most cases, even lower. So have women really broken the glass ceiling and made giant leaps to finally catch up with men? A recent survey asked this and some other questions to a range of male and female correspondents in the country and found some surprising results. 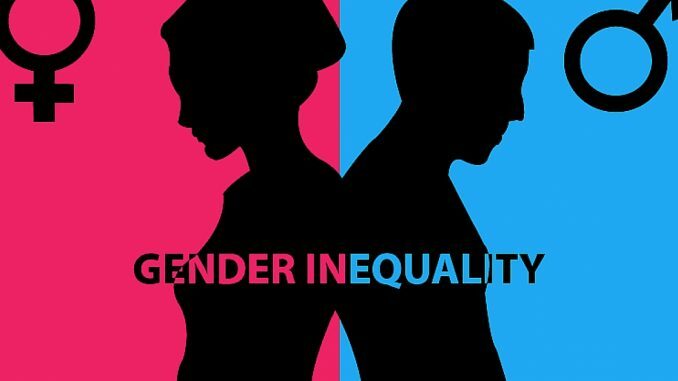 ‘Men were much more likely to say that there has been progress on gender equality in their country in recent years, whereas women were more likely to say the situation hasn’t changed or has gotten worse,’ states the Equal Measures 2030 report on ‘Policymakers and Gender Equality: What they know and how they know it’. The survey was done, explained the people behind it, to keep a track of the progress made on 17 ‘Sustainable Development Goals’ adopted by the United Nations in 2015. Of the 17, number 5 on the list is to achieve gender equality and empower all women and girls by 2030. The report shows that “Indian policymakers had the lowest awareness about the SDGs among the five countries in the study. For example, 38% of policymakers in India said they had no knowledge or not much knowledge of the SDGs, compared to 10% in Indonesia and Kenya,” he added. For example, early marriage was one of the issues where policymakers were least confident in their knowledge of the facts. Across the five countries they surveyed, just 1 in 8 thought they knew the proportion of girls married before the age of 18. The sample was divided equally in relation to men and women respondents and just over half (54%) of the sample was over 50 years of age. Respondents were mainly (69%) in government and most likely working at the regional/local level (42%) or national level (39%). The study, based on face to face and telephone interview was carried out between July-September 2017. There are glaring challenges in achieving the SDGs across the countries surveyed, “Policymakers were not confident in their knowledge of the facts on several key issues that are especially important for girls and women – if policymakers are largely unaware of the scale of the big gender equality challenges in their country, it will be very difficult for them to know what to prioritize or to set the right laws, policies and budget allocations to solve the problems,” Motivans said. He added that the results of the research point out that gender equality is thought to be given much more priority in education and health, for example, than in Finance. Four fifths (81%) of policymakers thought that gender equality concerns were given a high or very high priority when setting policy on education, whereas just 38% thought gender was given a high or very high priority when making decisions about public finance. “This is very important to understand because gender equality is about what happens to half of the population. Gender equality issues cut across every single area of policy making. Public finance, the decisions that are made about taxation or public spending affect almost every area of a girl or woman’s life. So if gender equality concerns aren’t part of the really big decisions of government, we’re not going to see the needed changes,” he added.